You'll enjoy life every moment of life on the road in this Travel Trailer! It has a hitch weight of 570 lbs. and GVWR of 6500 lbs. The 19' 0" patio awning provides shade for relaxing outdoor lounging! 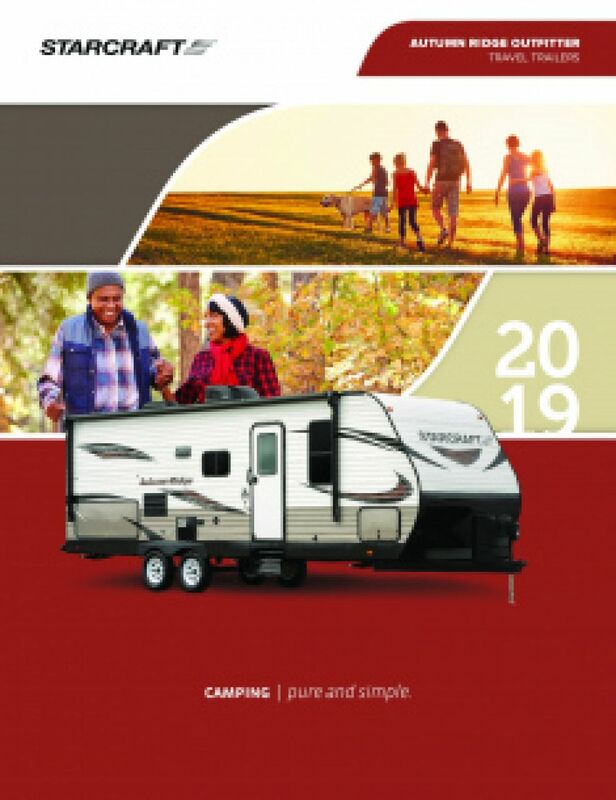 When you're on the road in the Starcraft Autumn Ridge Outfitter 26BH, you won't have to settle for campfire snacks or fast food to feed your family or guests. 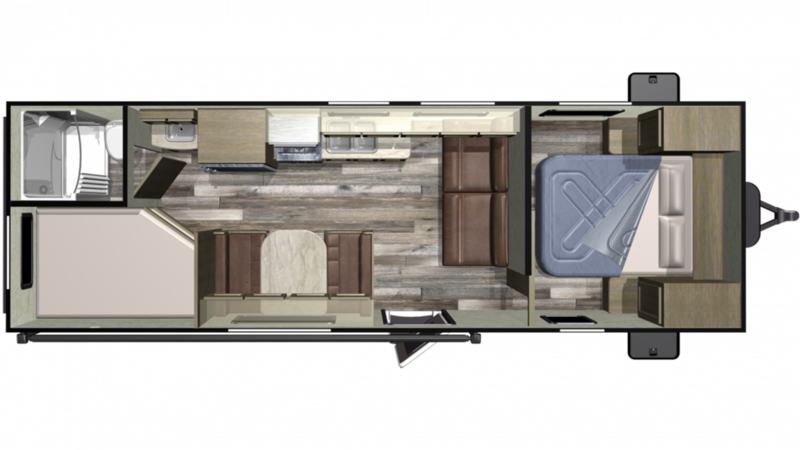 This terrific Travel Trailer comes with a fabulous kitchen, complete with a 3 burner range cooktop, 6.00 cu. ft. refrigerator, and other modern appliances! And clean-up is a breeze, thanks to plenty of hot water from the big 48 gallon freshwater tank and generous 60 lbs. of LP tank capacity! If you love an invigorating hot shower in the morning, but don't love the trek to the often cold, damp, and messy community campground bath facility, then you'll really love the beautiful bathroom in this Travel Trailer! It comes with a capacious shower and a convenient, easy to use Foot Flush toilet, so you'll start your day in comfort and privacy! Dirty water and waste are stored in the 32 gallon gray water tank and the 32 gallon black water tank, respectively. Family or guests can cozy down in the bunkhouse when the sun sets, and they'll enjoy a great night's sleep!